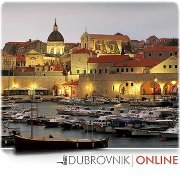 Traveling from from Dubrovnik to the Elaphite Islands. Very popular ferry among locals and tourists. This ferry line connecting Dubrovnik with the Elaphite Islands is connecting Dubrovnik with islands Lopud, Šipan, and Koločep several times per day.